We are conveniently located in beautiful Alexandria, Virginia. We are less than five minutes from the Van Dorn exit on 495, or the Landmark exit on 395. We are a family of Mercedes-Benz enthusiasts warmly serving fellow Mercedes-Benz enthusiasts! For more information on any of our luxury vehicles, please contact Mercedes-Benz of Alexandria by calling (703) 341-2100. Whether you are coming from northern Virginia, Washington D.C. or Prince George’s County, you are only a few minutes away from offers and selection on the world’s finest automobiles. Whether you’re looking for a new or pre-owned vehicle, you can have peace of mind knowing that our dedicated team of sales, service and finance professionals will make your experience enjoyable. We want you to love your car and that’s why we are exclusively Mercedes-Benz. 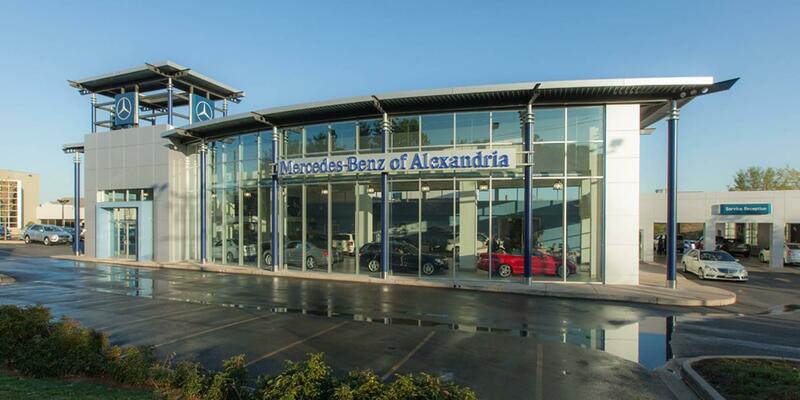 Our dedication to peerless customer service is alive every day at Mercedes-Benz of Alexandria! Our dealership is staffed with Mercedes-Benz enthusiasts dedicated to making your sales and service experience second to none. Stocking hundreds of pre-owned and new Mercedes-Benz models, we offer one stop shopping for every discriminating shopper in the Fairfax area. When service is needed, our shop of 50 of the finest Mercedes-Benz technicians stands ready to assist. We also provide a loaner fleet of 125 new Mercedes-Benz to our clients so when your baby needs to stay overnight, we have you covered. Contact Mercedes-Benz of Alexandria at 703-341-2100 today and see the difference. We had been on long road trip from Alabama. When we arrived at the hotel in National Harbor and luggage taken out, our truck lid would not go down. This has been an intermittent issue for a while. Well this time it never went down. We called Mercedes Benz roadside assistance, they towed our car to this dealership. No charge. When I spoke to Zack, the assistant service manager, he explained that there was. A even more critical issue with our tires and alignment. He communicated well with me throughout the whole process. He found us a 25% discount in the tires we needed. When we picked up the car, it had been vacuumed and washed. Offered us snacks and water for the road. Overall it was a great experience with Zack and this dealership. The assigned Service Manager is always friendly, helpful and very capable in navigating my visits for service. His name is Xavier Martinez. Purchasing a vehicle from Mercedes Benz Alexandria was one of the easiest and friendliness interactions I have experienced in my car purchasing years. You are greeted the moment you enter, the staff is fully attentive to your needs, the purchasing experience is top notch, and the service department is always accommodating. You have everything you can ask for and then some the moment you walk into this dealership...as well as a grand selection of the NEWEST CARS on the market to choose from. I applaud the management staff for having such a focus to serve a diverse community so much, it shows in the talent on staff. Bravo!